The bathroom is often the dirtiest place in your house and usually, requires more than just cleaning. Normal wear and tear are common in areas that are cleaned more often and stay wet for extended periods, like your shower. Properly maintaining your shower is important for your health and your wallet. 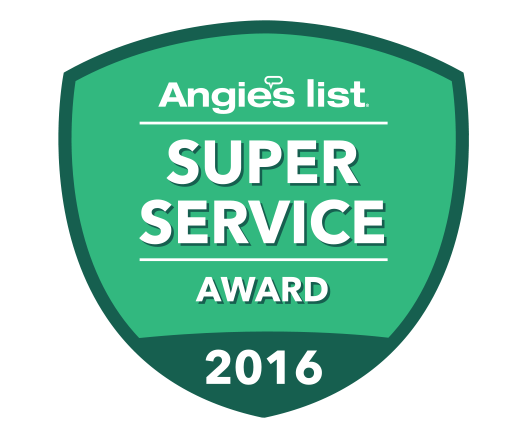 A small investment in preventative maintenance could save you thousands of dollars. Look for these bathroom conditions to find out if you need tile maintenance. 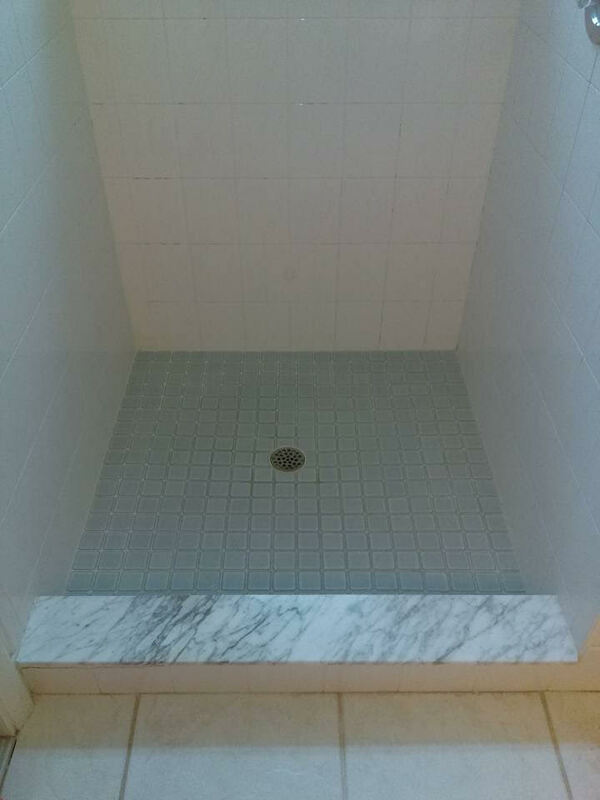 If there is a crack in your shower grout then water is definitely getting behind the tile. Anywhere that is happening needs to be addressed immediately and repaired. The little black line that you think might be mold could very well be a crack. That little space in the corner that you keep ignoring is probably a crack. Maybe they are small now but trust me, they will get bigger and so will the cost to repair them. 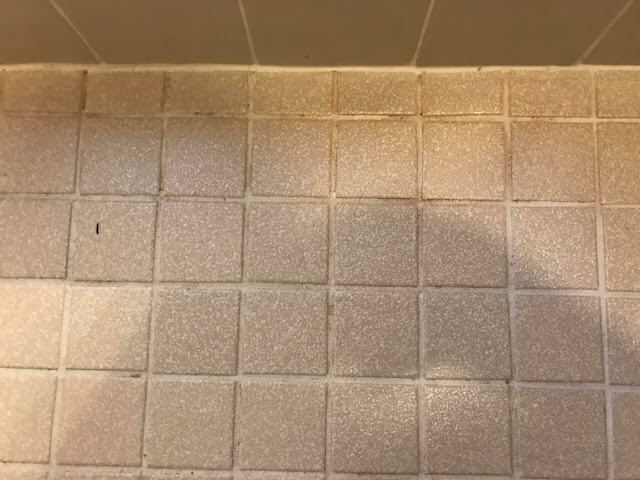 Lightly knock on a loose tile and it will make a high pitched hollow sound. Knocking on a well-set tile will make a dull thunk. Once water is behind your shower, mold will set in and the board will start to deteriorate. Once the board starts breaking down the damage can grow exponentially. It must be removed and replaced. 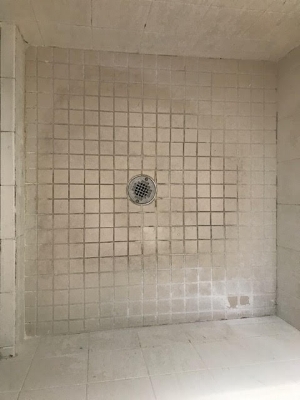 Sometimes everything looks fine to the untrained eye but in this picture, all the walls in this shower are exhibiting the signs of severe water damage. The tiles are no longer attached to the board. The only thing holding them up is the grout between them. Yikes! This is now no longer a repair but a renovation. Replacing wall board is time-consuming and costly. All the tiles must be cleaned of old adhesive, mold treated and kept track of so that they all fit back together correctly. The board must be cut out anywhere mold has grown. Don't let this happen to you! Do your maintenance early. Your grandmother was right, an ounce of prevention is worth a pound of cure.